I’ve been thinking about this photo all day. 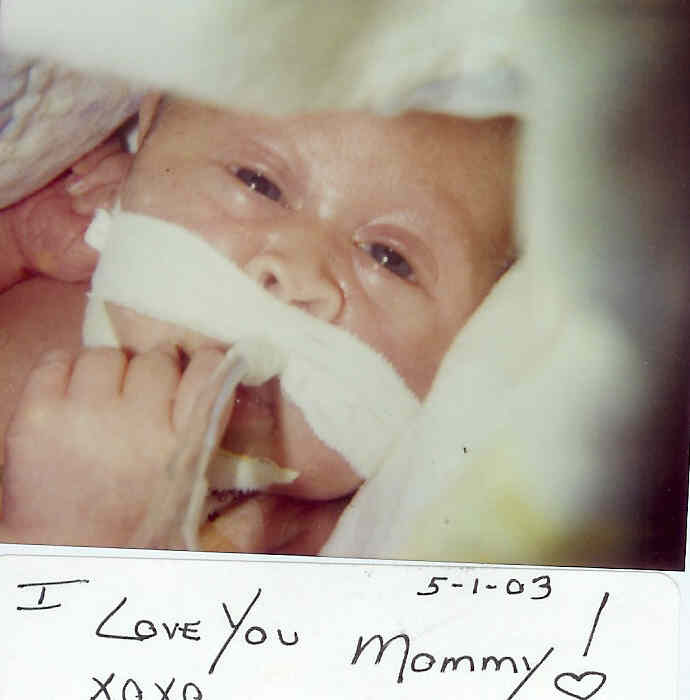 It was a Polaroid taken on May 1, 2003 by Sammy’s neonatal ICU nurse, Cathy Firestone. On that date, Sammy was three weeks old, and two weeks into battling an overwhelming infection and a perforation of his intestines. I spent hours each day at his bedside praying that he would survive, and while he was heavily sedated and ventilated, I spent those two weeks waiting for him to open his eyes to show us that the worst was over. Early that morning before we arrived, Cathy caught Sammy opening his eyes, so she grabbed a camera and had this photo waiting for me near Sammy’s bed. It will always be one of my treasures. While it’s easy to look at the photo and see how weak he looked, I see his strength because I know just how much he overcame. It sounds like a good answer, but I’ve often wanted to ask the follow-up question, “But, what if it isn’t healthy? Then what?” I don’t say that to be critical or condescending, but as someone who has found herself in the position of giving birth to an unhealthy baby, I wonder if some expectant parents have really thought about how they would answer that question. 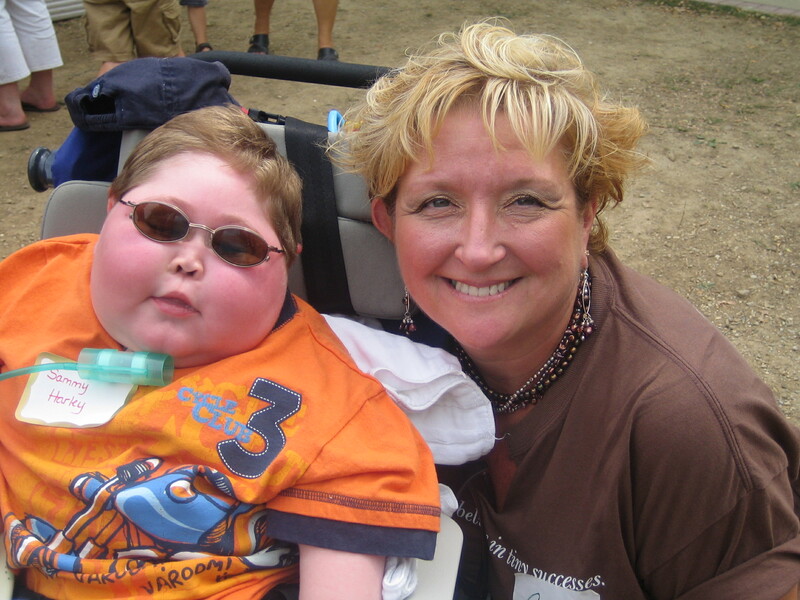 Sammy spent nearly 4 months in the neonatal ICU following his birth. It was a rather large NICU that could accommodate 60+ babies at any one time, and it was often at capacity. Except for the day following my c-section due to my own health crisis and the day following my gall bladder removal 5 weeks later, I was at Sammy’s bedside daily. I saw newborn babies admitted for observation following c-section deliveries. I saw micro-preemies who were too fragile to be held. I saw twins, triplets, and quads. I saw infants born with drug addictions. I saw babies needing oxygen, intubated and on ventilators, with feeding tubes, and with scars indicating that they had needed surgery of some kind. I saw babies leave the NICU to go home with their parents, and I saw parents leave the NICU with empty arms. 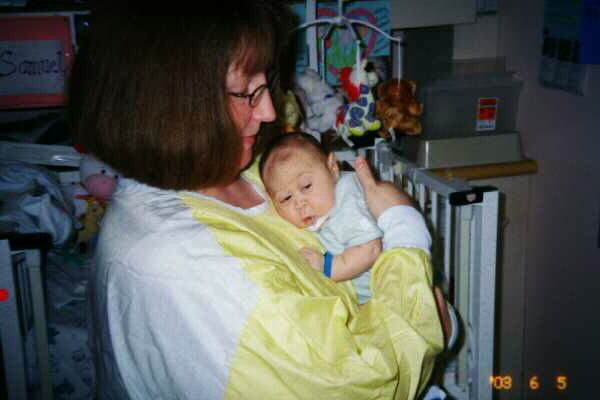 They say that “home is where the heart is”; well, during those four months, my heart was in that NICU. After spending a little while there, I began to feel overwhelmed and depressed by the fact that it seemed as if every baby was sick because that is all I saw every day. Finally, a little reality kicked in and I reminded myself that healthy babies were being born every day in that hospital and also in hospitals and homes around the world. I think maybe I spent a little too much time focused on and worrying about babies who were sick, but I also think that we sometimes take it for granted that pregnancies will go perfectly and babies will be born healthy. But, what if? 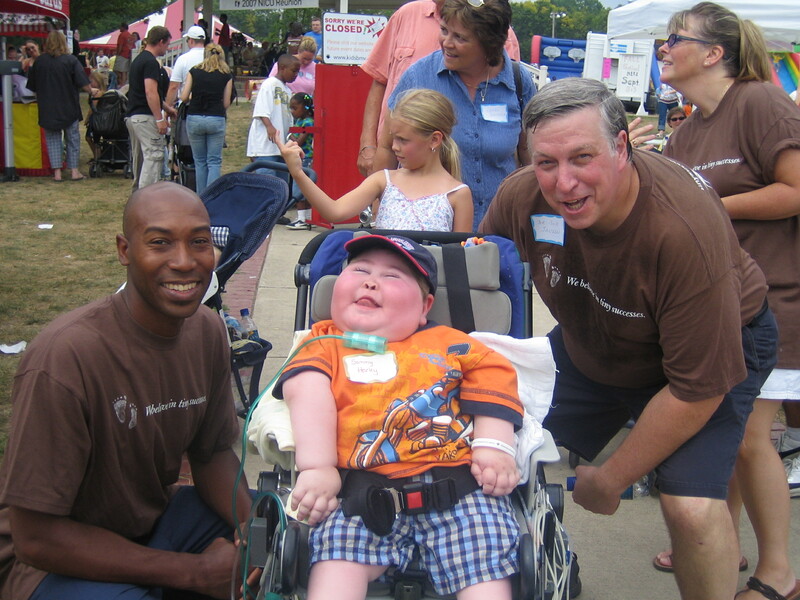 One of the things we did in Sammy’s life that was extra special to me was attending Sammy’s hospital’s NICU reunion. I loved being able to take Sammy and give the NICU doctors and staff the opportunity to see him healthy and happy. Because they had all seen him at his very worst, they could appreciate just how far he had come. For me, these were the people who educated me–like a favorite teacher–and they were a big part of our lives. They are the ones who saved our son’s life; many of them cried with us, laughed with us, worried with us and celebrated with us. While watching a local news report tonight, I saw taped coverage from the NICU reunion which had been held today. It was in that moment when I realized that we didn’t get an invitation to the reunion this year–a first since Sammy passed. Although I doubt that I would have gone without Sammy, it caught me off guard to realize that whether I like it or not, the reunion has moved on…and it’s just another reminder that moving on is inevitable. But, it’s okay because I know that if I contacted my favorite doctors and nurses and invited them to lunch, they would go and that would be a special reunion too.